lenwasse has no other items for sale. Benefit Cosmetics - The POREfessional: Pearl Primer 0.75 US fl. oz. 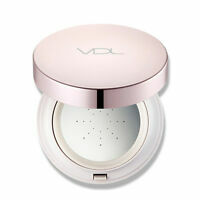 I would recommend also using a face powder or cream to blend in, because it does give a little glowing effect. You have to squirt a tiny bit of it onto the back of your hand and warm it up. I use my ring finger and just swirl it around a bit until it is creamy. Then pat under eyes. It has great coverage and it doesn't seep into the lines around my eyes. It stays put all day and night. Love it!! I am 50 years old and have tried many, many concealers over the years to feel like I looked older when applying concealers. 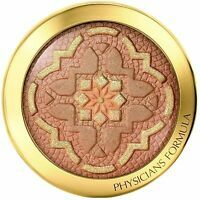 I have naturally dark circles under my eyes, so at times, I would have to layer on concealers to make a little difference. IT Bye Bye Under Eye Concealer, is by far, the best miracle on this planet!! I use very little and it covers my whole under eye area completely to the point where it brightens my eyes!! There is this nice creamy-moisturizer, which is built into the concealer, and keeps it from caking or drying up (like most concealers). I have been using this now for two years and cannot live without it! A Miracle Under Eye product! 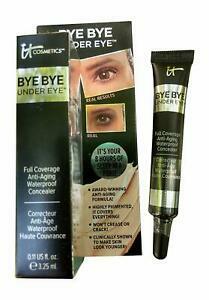 it Cosmetics Bye Bye Under Eye Anti Aging Concealer is a must have product! It really makes a difference in hiding lines and imperfections and is a very high quality product. The eye concealer is really thick and it is hard to spread. It also gets into your creases and makes the under eye creases look worse than they actually are. I really don't have anything good to say about this product.